RootsRated is a media platform that connects users with the best outdoor experiences, hand-picked by local outdoor retailers and their networks of local experts, not another website full of crowd-sourced trail reviews. 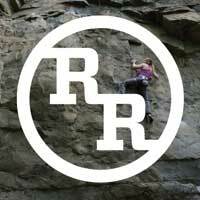 We harness the collective expertise of high-level local runners, skiers, riders, paddlers, and climbers. Then we share that experience through exclusive stories and destination reviews—curated city by city—about the best trails, runs, routes, crags, and more. RootsRated brings people who love the outdoors together, through insights from locals who are most in the know.